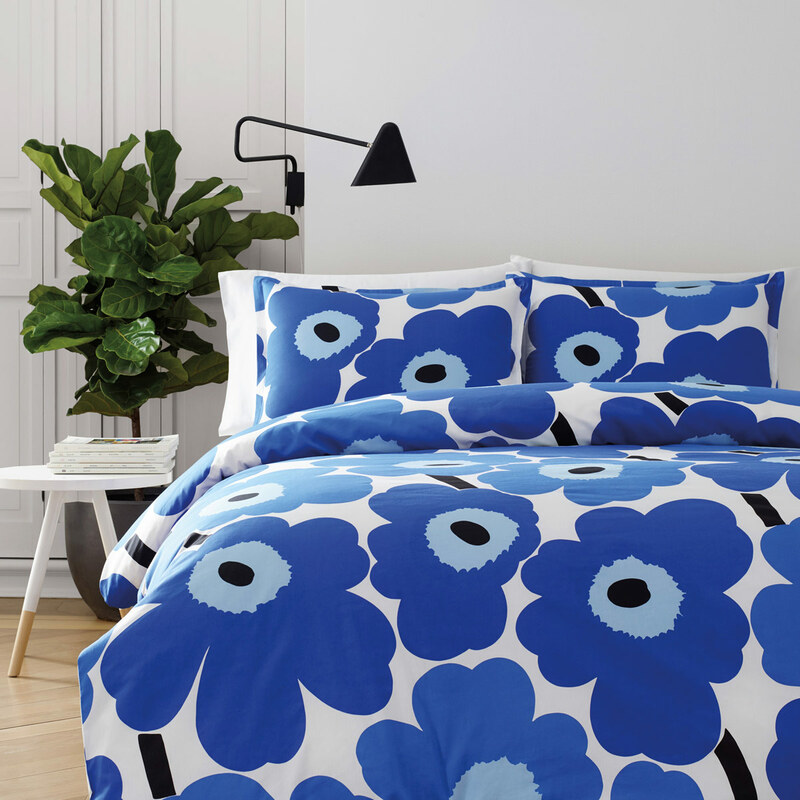 More about Marimekko Unikko Blue Bedding Get up on the right side of the bed each morning when you wake up to your favorite Marimekko pattern. Maija Isola's iconic 1964 poppies are featured in beautiful shades of blue: a calming, cool color scheme perfect for the bedroom. Made from 100% cotton percale in a 300 thread count, this is soft set won't irritate your skin and is conveniently machine-washable. Whether you are eight years old or 80, the iconic Unikko pattern on this Marimekko Unikko Blue Bedding will still resonate with you feelings of joy and comfort. 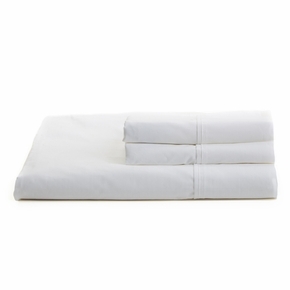 DO STANDARD SIZE SHAMS FIT QUEEN SIZE PILLOWS? I want to order the queen size douvet cover. Is there anything included ? Like pillow cases or sheets? Is it only a douvet cover? I can't see where the blue flowered pillow cases are for sale. The duvet cover states is sold alone. Could you please direct me? Unfortunately the Unikko blue pattern in pillowcases is discontinued by the Manufacturer and we will no longer be receiving these in stock. Sorry for any inconvenience. 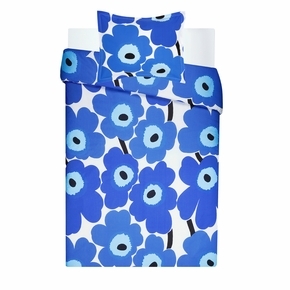 I would like to get 2 pillow cases or shams in the blue Unikko . I am ordering the full/queen duvet. Do you have them in stock? we have a standard bed,what size duvet do you have that would fit? 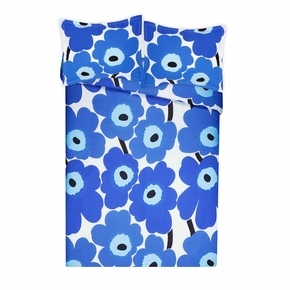 Correct, unfortunately the Unikko Blue bedding is only available in duvet covers and pillow shams.